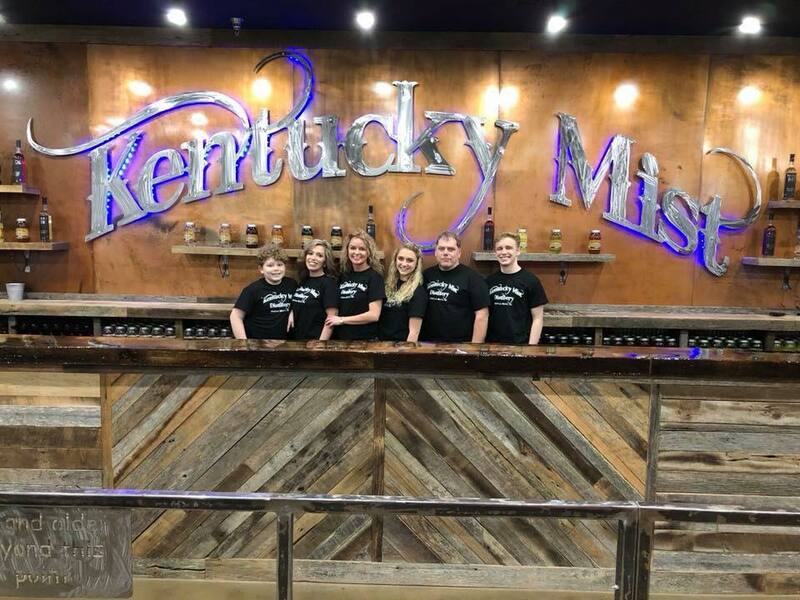 From the Appalachian Mountains to the Carolina coast, the smooth spirits of Kentucky Mist Distillery are now being poured at Broadway at the Beach! 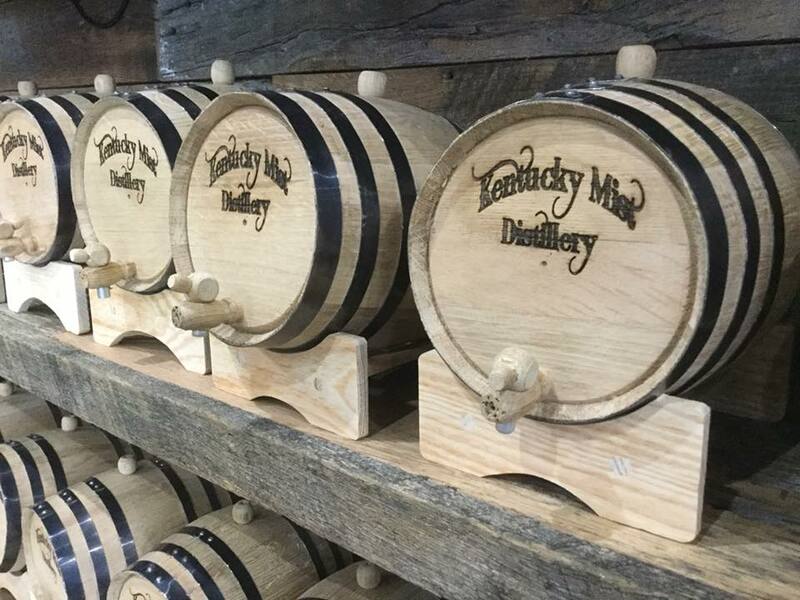 The new craft distillery boasts unique flavors of moonshine and vodka from today and yesteryear as it brings the heritage of Eastern Kentucky to Myrtle Beach. 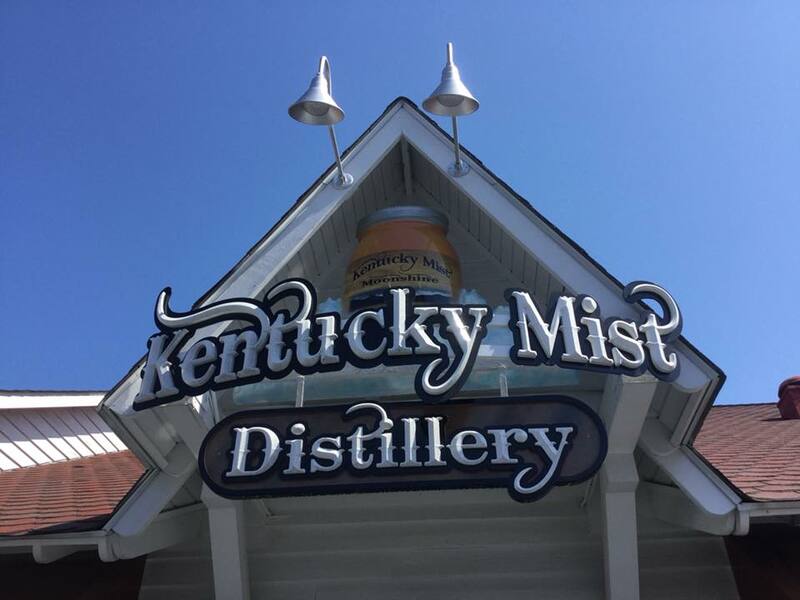 The founding of Kentucky Mist dates back to the days of American Prohibition or as Kentucky Misters call it, the dark ages! 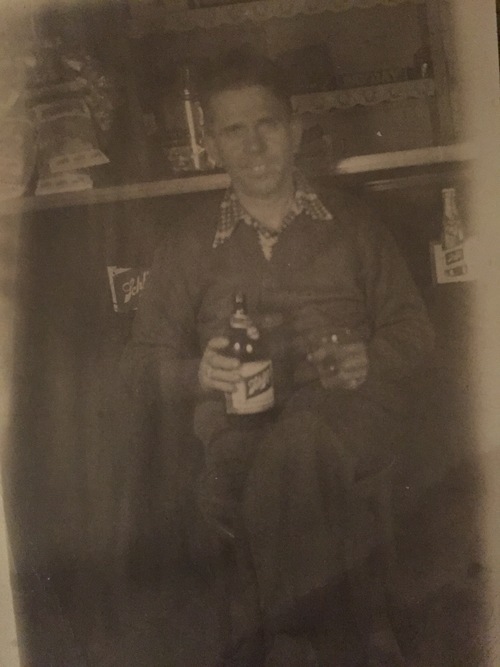 Distilling corn liquor and bootlegging in the Appalachian Mountains in Whitesburg, Kentucky was the family business for Henry Holbrook. The history of Mr. Holbrook's Kentucky Mist has a few twists and turns and even includes the notorious, Al Capone. To read about it, click here. 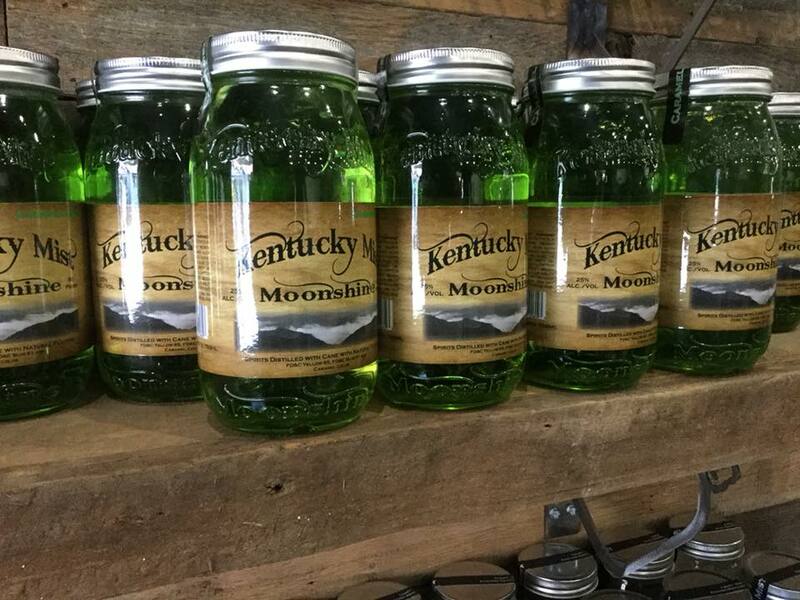 So from the "dark ages" to today's new generation of moonshiners, Colin Fultz, Henry Holbrook's Grandson has taken over the family business and recently opened a brand new store at Broadway. It's not all about the moonshine, but also their award winning vodka! In fact, their 1902 Whitesburg Vodka is the only barrel vodka in the United States, winning a gold medal at the 2017 Sip Awards! Talk about a prestigious pour! 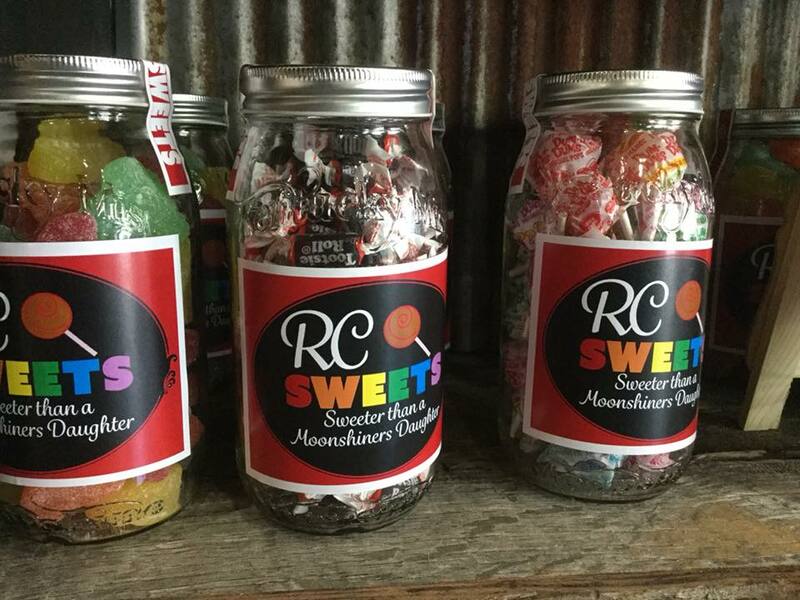 Now when it comes to the variety of moonshine, the sweet fruity sky is the limit as flavors include Apple Pie, Caramel Apple, and infusions featuring blackberry, cherry, cranberry, grape, peach and lemonade. Not sure which one you want to take home? They can help you decide as you sample the moonshine sweetness. For just $5, you can sample six half oz. shots. Of course, you will have to be 21 years of age to sample and purchase! 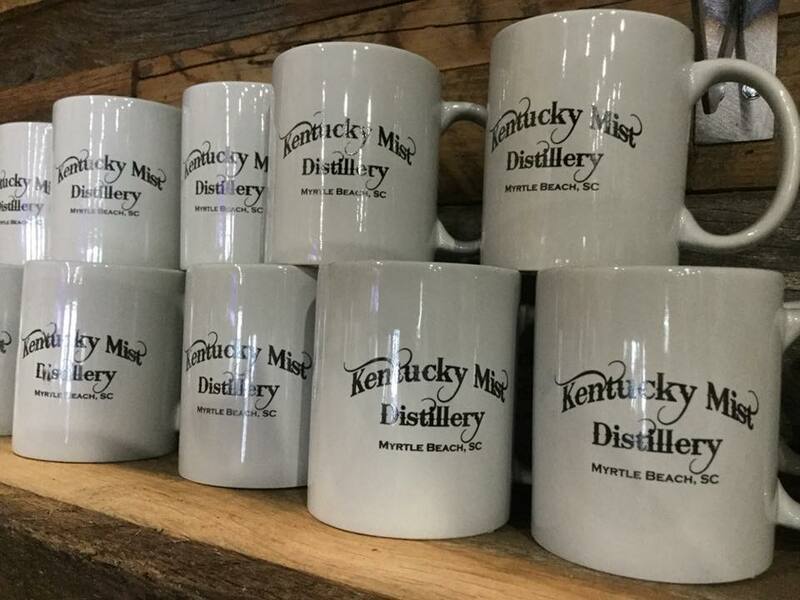 Along with your beverage of choice, you can also take home a Kentucky Mist shirt, mug, coozie, sweet treats and more! 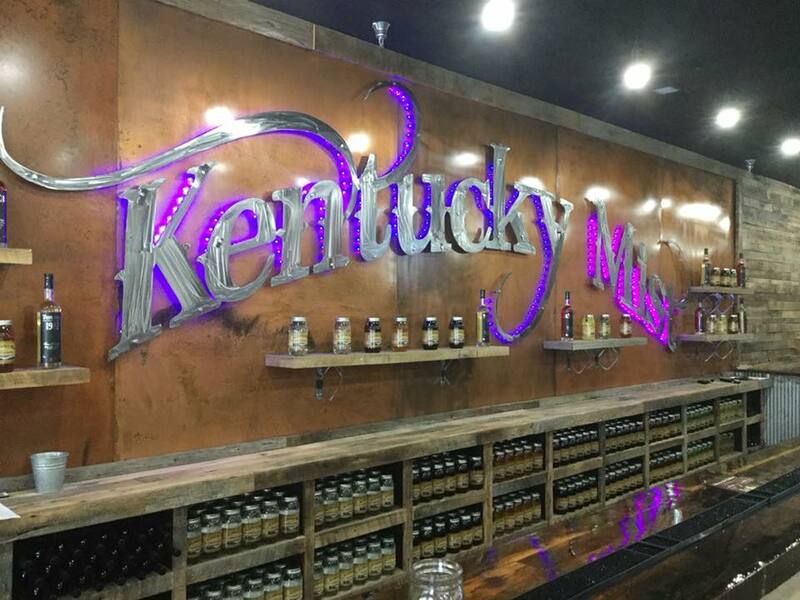 So join Broadway at the Beach as we welcome this new distillery, where you can taste the history, heritage and the home of Kentucky Mist Moonshine! We came, we saw and we sampled! 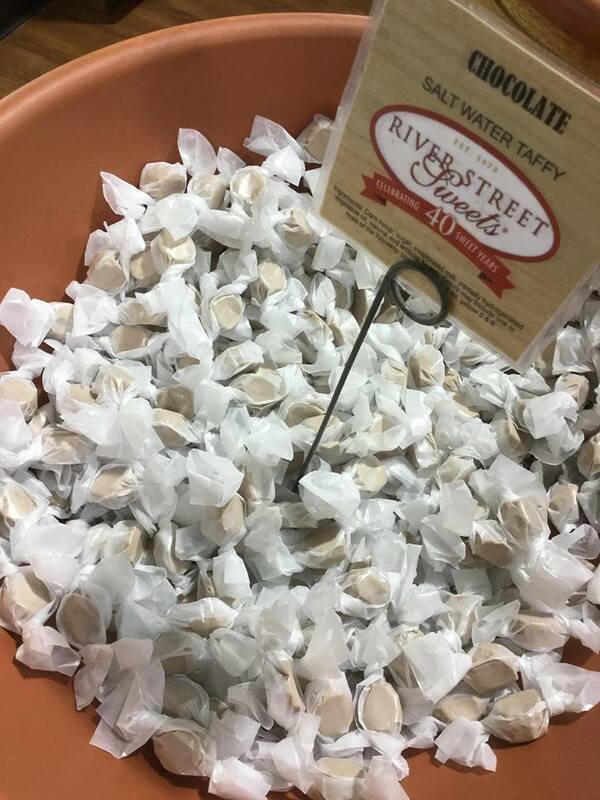 A recent visit to River Street Sweets not only tempted our sweet tooth, but we learned a thing or two about the art of taffy making from a man who has been creating the sweet treat for nearly two decades! 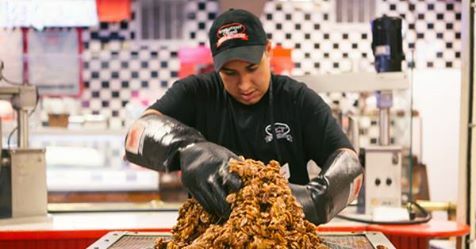 Candy creator Jorge has been making the sweet stuff for more than 18 years creating the candy classics we love including taffy, caramel, brittle and of course River Street Sweets' world famous pralines! 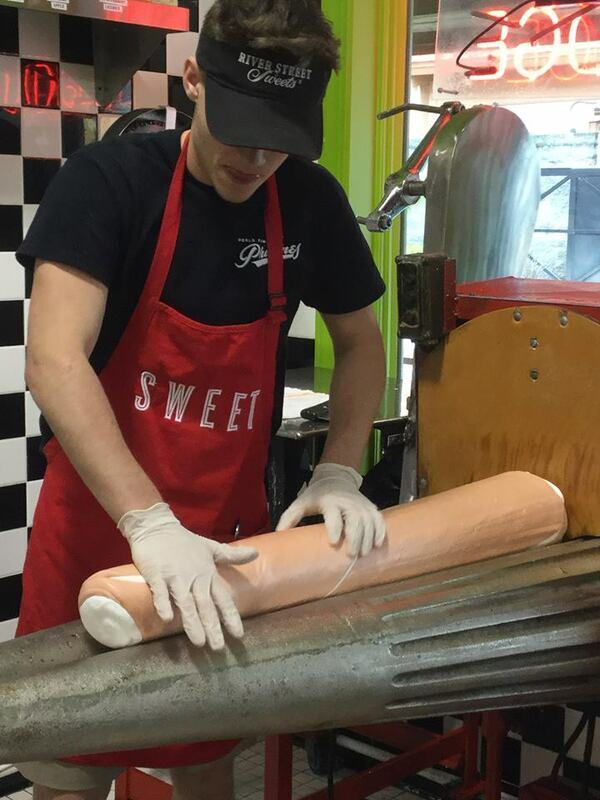 Bringing his talents all the way from the original River Street Sweets in Savannah, Georgia, Jorge is teaching new team members at their location at Broadway at the Beach and that's what we came to see! 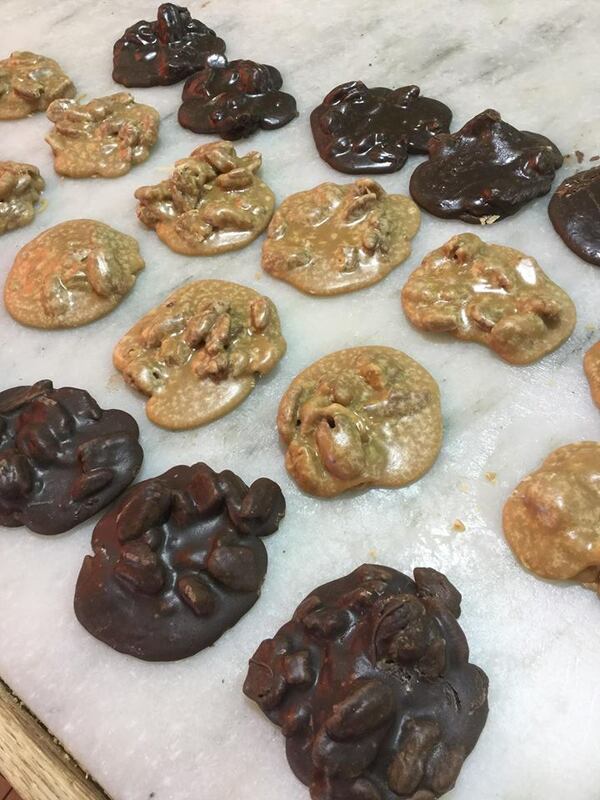 We do have a disclaimer and are sweetly ashamed to admit, when walking in the door, we were immediately (but deliciously) distracted by the freshly made pralines, causing us to be a little late to the taffy lesson. So we will have to fast forward through the first steps of making the taffy base of top secret ingredients! Next time, we will try not to be so delightfully distracted, but can't make any promises. Once the taffy base is ready, it is ready for the pully! This machine allows the taffy to aerate as Jorge and his team color and flavor the taffy. On this visit, coconut was the flavor of choice! 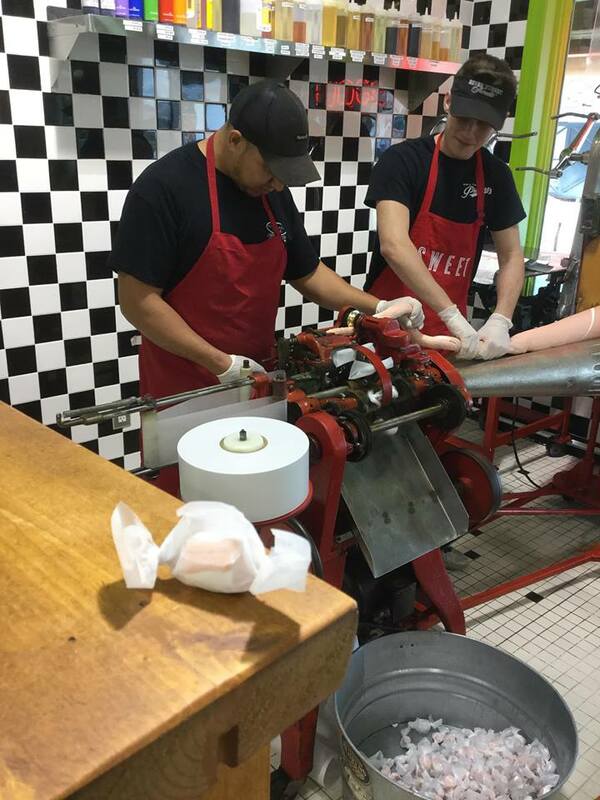 We learned the pully is used because of the constant turning motion that helps blend and mix the flavor and color so it is spread throughout the entire taffy mix. Now that the taffy is fully pulled, we are ready for the last step, the wrapping machine. To see this in action, check out this video! Sweet side note: This particular wrapping machine is 104 years old. Yes, 104 years old! 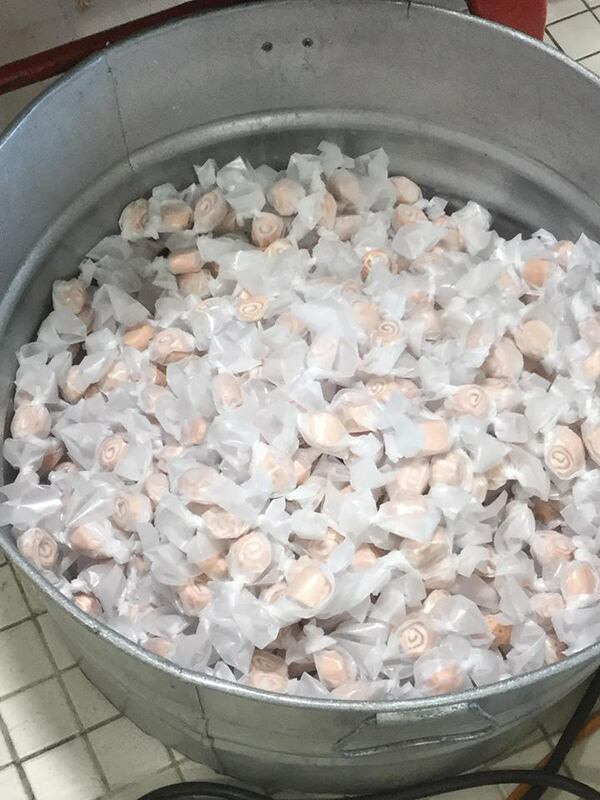 At this point, the taffy is stretched in to the machine where it is cut, separated and wrapped. After that it is time to enjoy! And we did just that! In fact the fresh taste of coconut may be our new favorite flavor! 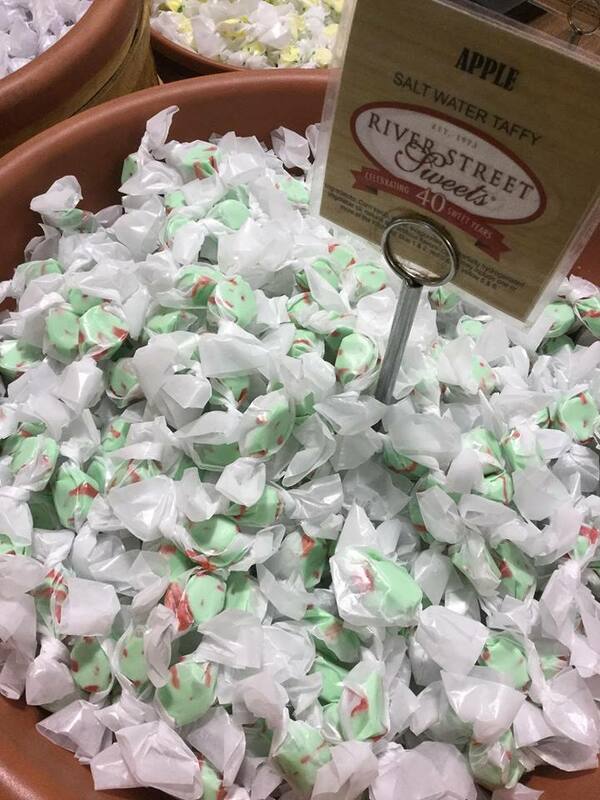 But then again, any freshly made taffy flavor is likely to be our favorite including banana, peppermint, cinnamon, bubble gum and the list goes on... and on.. and on! 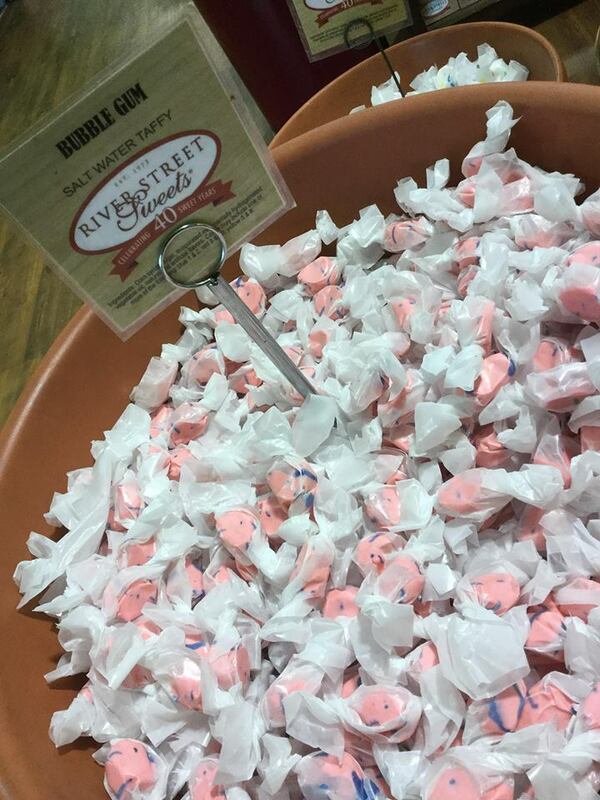 We sank our teeth into this classic coastal favorite as you will want to do on your next visit to River Street Sweets at Broadway at the Beach!